President Donald Trump has reportedly given the Central Intelligence Agency the power to conduct drone strikes against suspected terrorists. Under former President Barack Obama, that authority was limited to the Pentagon in the name of transparency. Unnamed US officials claim that President Trump expanded the power to conduct drone strikes from the Pentagon exclusively to the CIA, the Wall Street Journal reported Monday. The move has not been confirmed by the Trump administration. Under the new authority, the CIA would not require permission from the Pentagon or even the White House before launching a drone strike for a targeted killing mission. The Pentagon and CIA worked in tandem on drone strikes during the Obama years. 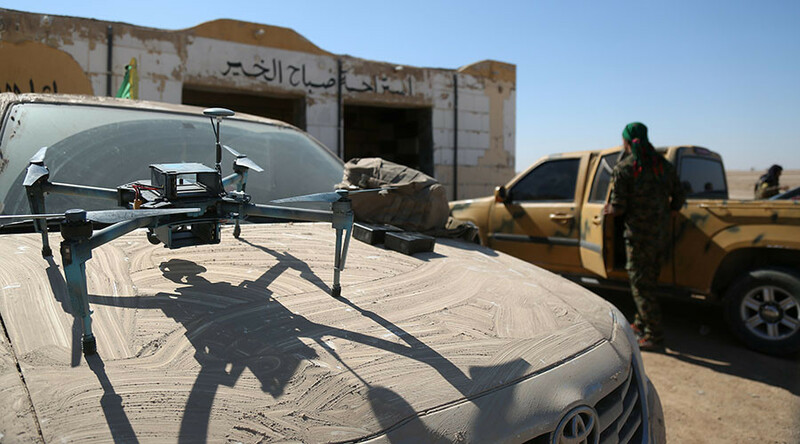 The CIA would use drones and other intelligence tools to locate suspected terrorists and the military would carry out the strike. This combination allowed for greater transparency as the Pentagon was obligated to report most airstrikes. However, the CIA is not held to such standards and some are concerned that allowing the agency to commit strikes of its own could make it a covert military force. “The CIA should be a foreign intelligence gathering and analysis organization—not a paramilitary one,” Christopher Anders, deputy director of the Washington office of the American Civil Liberties Union told the Wall Street Journal. An anonymous US officials also told the Wall Street Journal that the policy change deepened divisions between the military and CIA. Trump allegedly granted the CIA this power as early as January 21, one day after his presidency began.